Limpho Taka, a 47-year old patient with HIV and multidrug-resistant TB, (MDR-TB) lives in Mpokochela, a village in the Drakenberg mountains of Lesotho. It takes him three hours on his horse to reach the Bobete clinic where he receives treatment for MDR-TB. His family has a little farm with three horses, 73 sheep, eight cows and seven chickens. He grows sorghum, wheat and vegetables for a living. He fell ill with TB several times, was cured, and then went to work in a goldmine in South Africa to earn more money as he did not want to sell his animals. He earned 1500 rand per month (US $115) and worked inside the mine as a machine operative, drilling for gold. 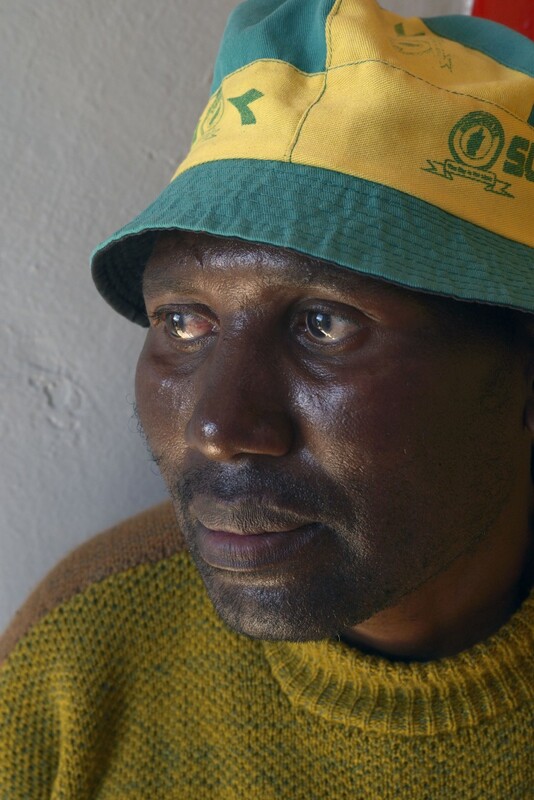 On his return to Lesotho he got sick and was diagnosed with MDR-TB. He started treatment, but failed the standard treatment regimen for the disease because of its harrowing side effects. He was bed-ridden for one year, which caused severe bed sores and oedema. Today he is feeling much better thanks to the new MDR-TB drugs he is taking as part of the endTB project funded by Unitaid.